Published: April 15, 2019 11:10 Usman Ghafoor, Special to tabloid! 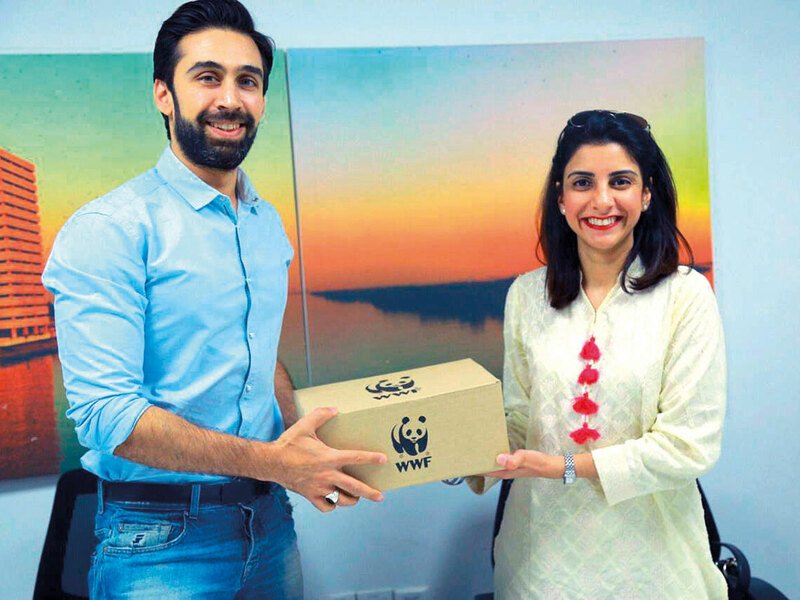 Ali Rehman Khan was recently chosen to be the Goodwill Ambassador of WWF-Pakistan. The actor will help to raise awareness on how to preserve the environment. “Pakistan is vulnerable to so many natural disasters and we don’t even realise how the carbon footprint we are leaving on the planet can worsen the current climatic change,” he told the media. Khan has previously been associated with social awareness campaigns such as ‘Jahez Khori Band Karo’ (quit asking for dowry). On the professional front, he is due in Hum TV’s new show, titled ‘Khaas’, also starring Sanam Baloch and Haroon Shahid, and the rom-com ‘Heer Maan Jaa’ with Hareem Farooq.